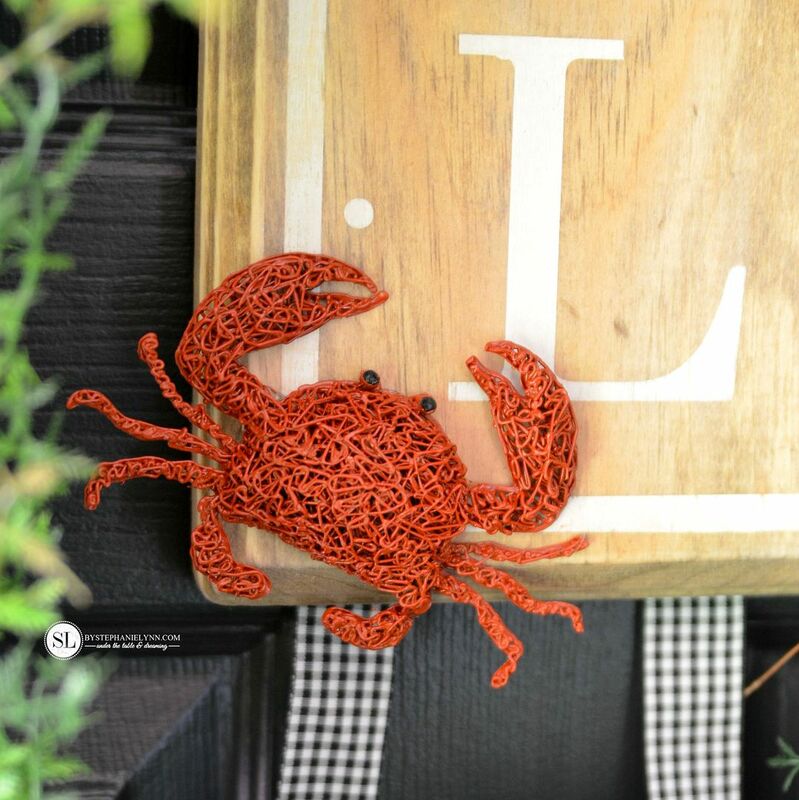 Monogram Crab Wreath | 3doodler 3d printing pen giveaway #michaelsmakers | I finally took some time this week to update the wreath on our front door. 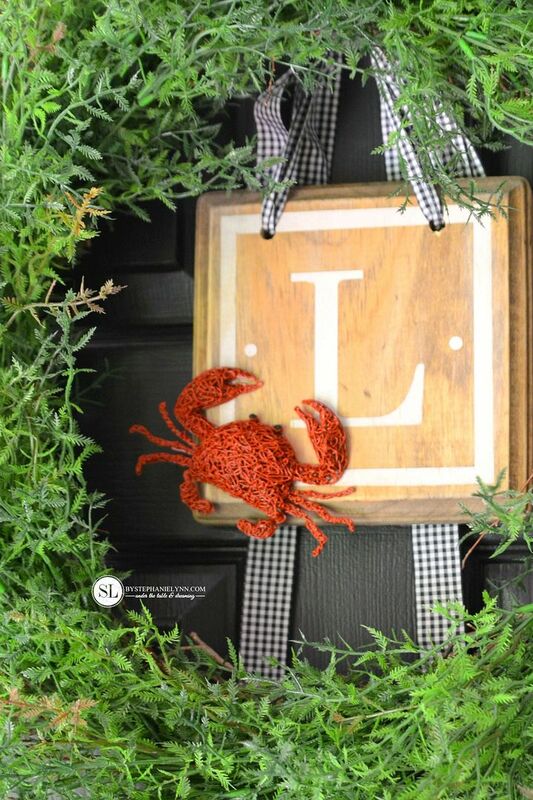 Around here crabs are a summertime staple – and after enjoying our first bushel of summer last weekend – I could not help but add a little crab to our entry. 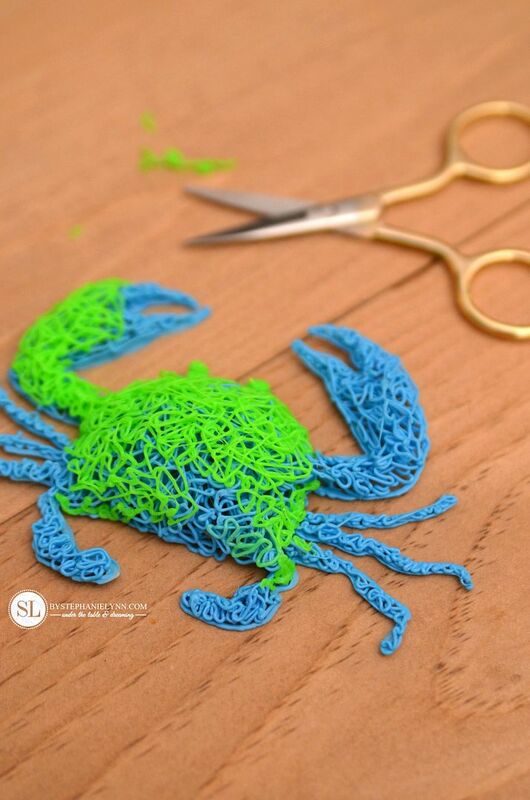 I created the crab with this incredibly innovative tool called the 3Doodler. The 3Doodler is a handheld 3D Printing Pen in which you can create three dimensional objects, by simply sketching in mid-air. You hold the device just like a pen and with the press of a button, strands of heated plastic are extruded from the tip. The plastic quickly cools and solidifies right before your eyes into a strong, stable form. 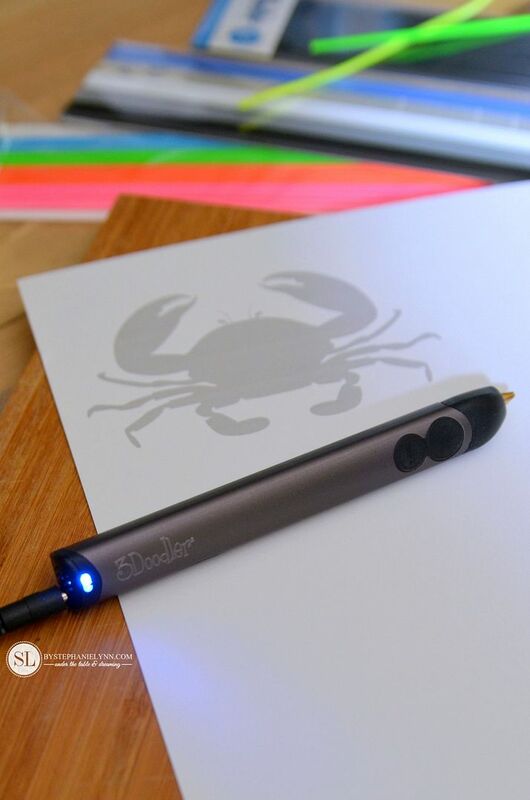 Wobbleworks originally launched the pen a couple of years ago and recently released an updated version – the 3Doodler® 2.0 – which Michaels gave me the opportunity to check out. They not only sent one – but are giving one away this week to one lucky reader! 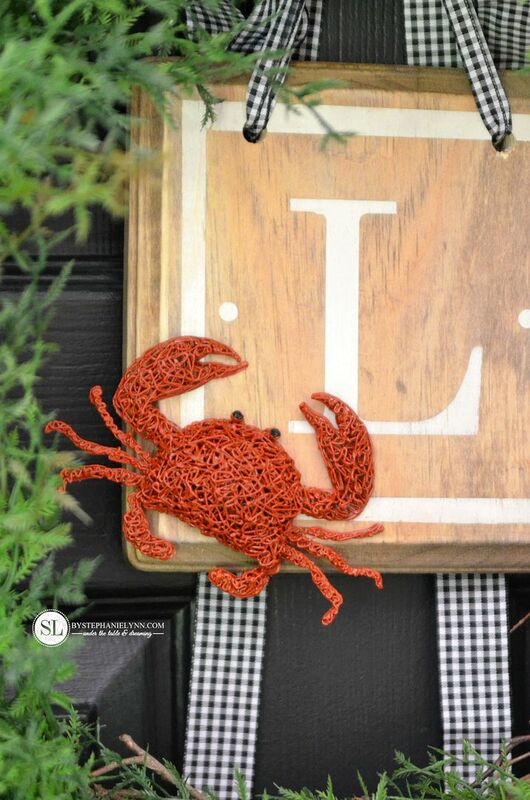 Making the little crab was incredibly easy and took just a few minutes to create. The 3Doodler is incredibly easy to set up right out of the box. Just plug it in, wait for it to heat up, then slide in a strand of the 3Doodler Plastic. The 3Doodler Plastic Filament comes in an array of colors. I simply just used what I had on hand. There are two different kinds of plastic: ABS and PLA. The ABS Plastic Filament is a bit more flexible and better for creating 3Doodles with a paper stencil. I began by tracing the complete template with the 3Doodler. It works just like a pen! The plastic is extruded with a simple touch of a button. To ‘anchor’ the plastic to the paper, you do have to apply a bit of pressure to the tip of the Doodler. Just as if you were tracing the outline with a pencil. Once the outline was complete, I went back and filled in the center. I simply let the ‘pen’ do its thing and create the squiggly doodles on its own. For extra dimension, I continued to go back over some of areas and build up the plastic. 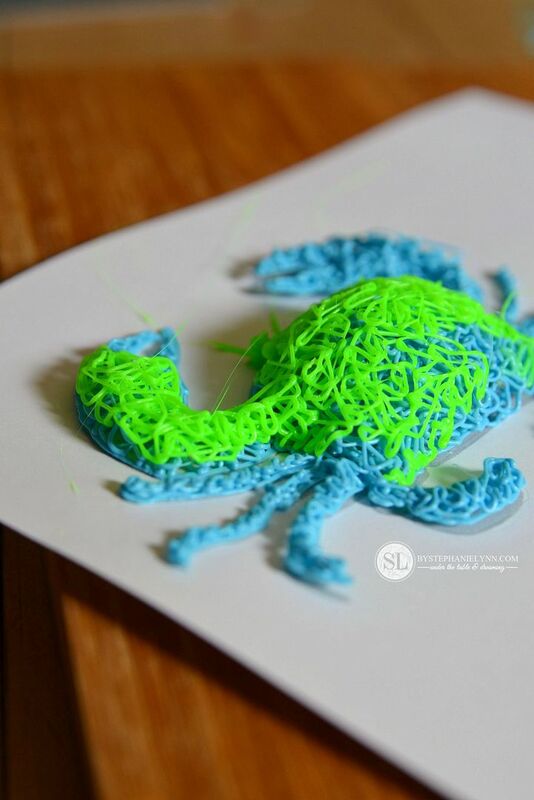 Click here for a video of the 3Doodler in action. Once I was happy with the design, I simply peeled it away from the paper and trimmed any excess strands of plastic with a pair of scissors. Then the little crab received a paint job. The wooden plaque was picked up in the unfinished wood aisle. I painted the monogram on (using a a stencil I cut with my Silhouette) then stained the wood and glued on the little crab. Ribbon was used for the hanger and threaded through two drilled holes. The wreath was made using several sprays from Michaels Floral Department and a 24 inch Wispy Grapevine Wreath. 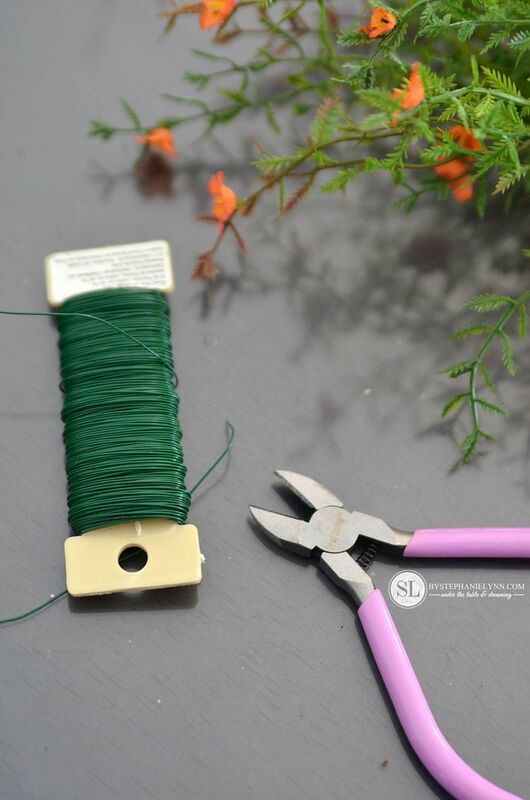 I love using these type of plastic coated florals for outdoor wreaths that are exposed to the elements – they work well, and last a long time. 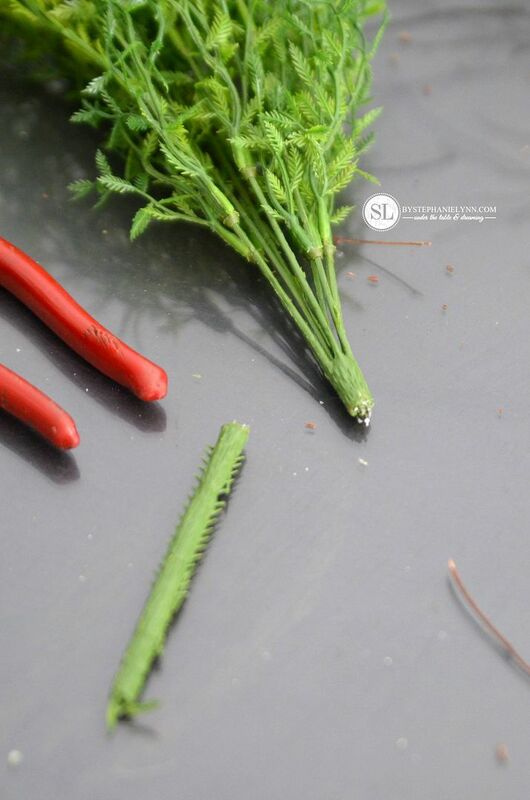 The ends of each floral bunch were simply trimmed. Then the bunches were overlapped and attached to the grapevine wreath with floral wire. I plucked off the mini orange flowers since I only wanted the greens. This post is brought to you by Michaels . The opinions read here are entirely my own. 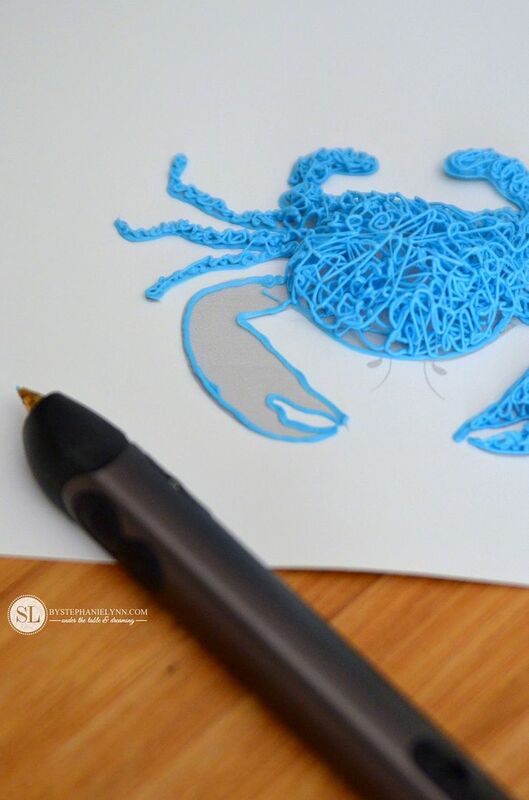 The 3Doodler 2.0 is THE must-have 3D printing pen that is an easy to use (and fun!) tool for crafters, artists and even designers! The slim, light-weight pen draws dimensional figures and structures and is much more affordable than a 3Dprinter. The pen can be purchased directly from Michaels.com – and if you need some additional project ideas check out this awesome video. What would you make? Thanks for sharing and posting your wonderful finds. Wow!! I’m kinda loving the crab but maybe I would make a Tarheel foot since I’m in the Tarheel state. I would make an anchor. What a fabulous wreath I would enhance my Zentangle work with this gadget that I have been eyeing at Michaels. I’m so happy that you keep me up to date on all the new items for crafters. Great job. That’s so neat, the kids in Sunday School would love them! Now that is really cool… My head is spinning with the possibilities… I am feeling lucky…. Thanks so much! What an awesome product! Thanks for sharing and the opportunity to win. I love this! 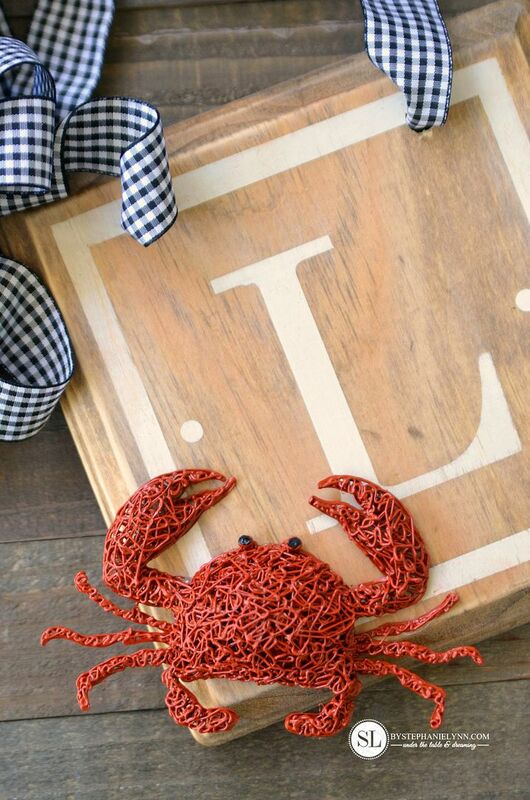 I grew up in Maryland and crabs are definitely a summer staple. This 3Doodler is the coolest thing I have seen in a long time. Thanks for the chance to win. I love your blog! Cool project! I would make a starfish! Love your blog and all of your great ideas. Can think of so many things I could do with one of these pens and my granddaughters would love it. I saw those on tv how cool! I love the crab you made. It makes a great embellishment! Thank you for your post. 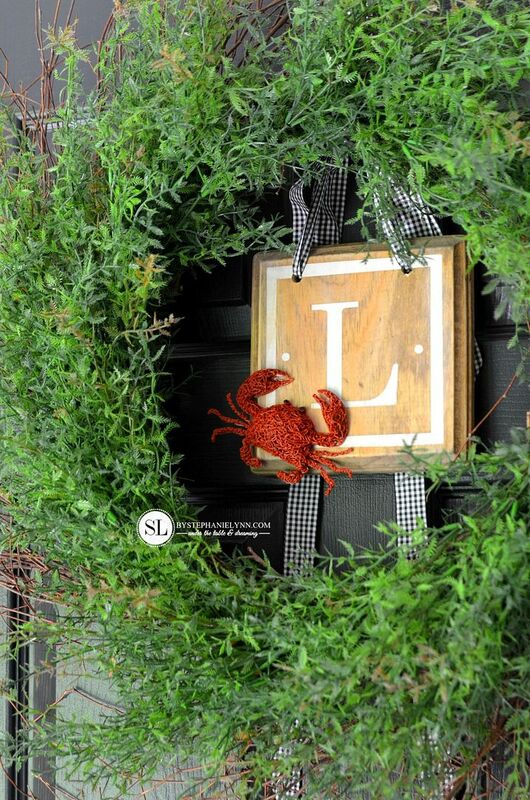 I love the wreath and the crab. I’d love to try and make a letter with the 3D Doodle pen. I see wire letters all the time, but have never tried it. The 3D Doodler would be much easier to do. My granddaughter loves to craft as well and this would be fun for her as well. I see ornament decorations for Christmas in the not to distant future for her and I to do. Thank you so much for the opportunity to win this! Never knew about this pen before! This is awesome! I love that little crab! I think I’d try my hand at making a faux sea fan to use in my shell collection! This post was the first time I’ve seen your blog. I’m in love. I thought both products used to create the sweet little crab were actually for kids. Now that I see the endless possibilities I want them both. Thanks for sharing such a creative idea. Love it! This is awesome stuff, something is there to give competition to glue gun. I would make something related to ocean as i live in Maine aka vacation Land. That’s amazing!! 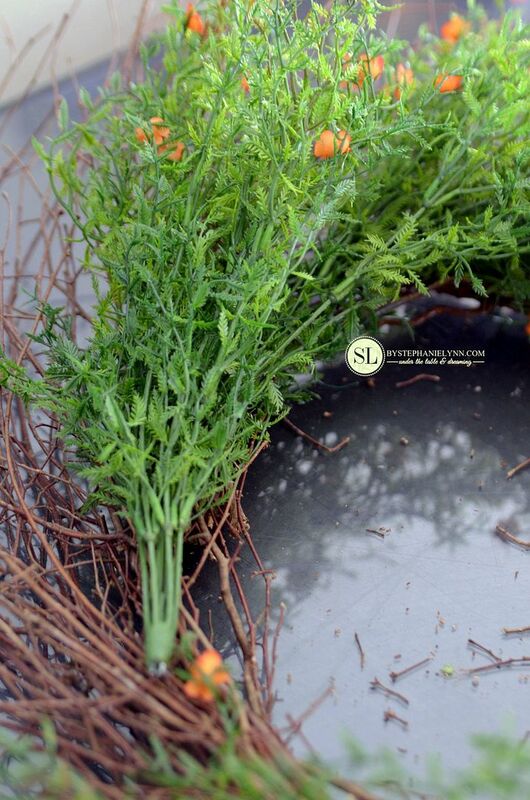 Such a creative little add on for a cute summer wreath, I love it! I have been wanting one of these for months now! Adorable crab! This would be a great gadget to make science a little more interesting with my kids. Thanks for sharing these great finds. I am amazed at the projects you come up with. 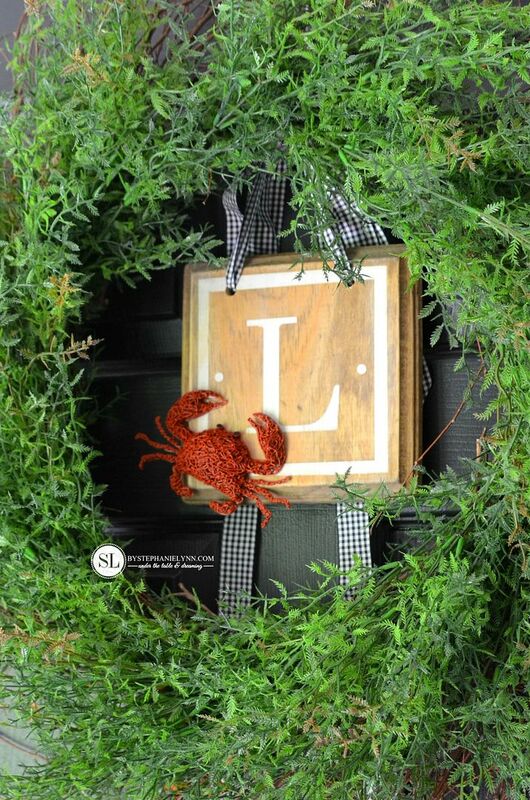 The crab was a very cute touch to the wreath. I thank you for inspiring me to be a bit more hands on with my to projects. This crab is so great!